On May 17, 2017, an underwater birthday party swarmed with fish, seagrass, and human divers 22 miles south of Pensacola, Florida, on the floor of the Gulf of Mexico. Who was it all for? The USS Oriskany, a near 900-feet long aircraft carrier. It was the Oriskany’s 11th year as the world’s largest recycled artificial reef. The ship, like the other 300-plus artificial reefs around the world, accumulates marine life populations, attracts tourists and fishermen, and mitigates human impacts on natural coral reefs that are in serious trouble due to climate change. 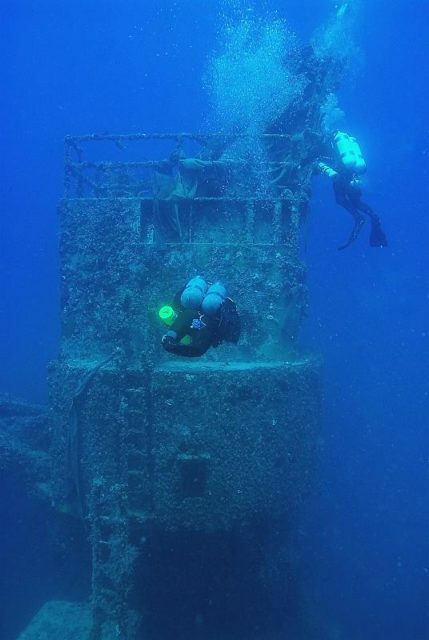 Now there are all kinds of artificial reefs along the Florida coast, which like the USS Oriskany, allow professional and amateur divers to explore a diverse range of marine creatures from snappers to angelfish and corals to mollusks. Earlier this year, scientists discovered a new worm-snail species on a ship turned artificial reef in Key West, Florida. The orange-colored, finger-like species generated quite an online sensation by being “kind of cute” and shooting mucus like “Spiderman,” Live Science reported at the time. While they’ve been a boon to researchers, these man-made reefs might also become stepping stones for other invasive species: The bare surface they have is perfect for the invaders’ babies to occupy and grow. “For the larvae, there’s no competition from local if you will. That’s the problem,” says Jose Leal, the science director and curator of the Bailey Matthews National Shell Museum in Sanibel, Florida. Nevertheless, artificial reefs can also act as a sentinel habitat for researchers to detect and eradicate invasive species. “The artificial reefs could serve as the canary in the coal mine,” said Rüdiger Bieler, Curator of Invertebrates at Chicago’s Field Museum, in a statement. “If we monitor their presence on the shipwrecks, we can keep tabs on them and potentially stop them from spreading to the living reefs,” Bieler explained. The shipwrecks surveyed in the study were very close to the Florida Keys reef, the world’s third largest barrier reef system. The new species, if spread, could reduce the growth of natural coral or even carry parasites that sometimes cause fatal disease in loggerhead sea turtle and other endangered native species. Right now Florida holds more than half of the man-made reefs in the United States. And there will be more. The Miami-based organization Artificial Reef International has been sinking decommissioned vessels since the 1980s. 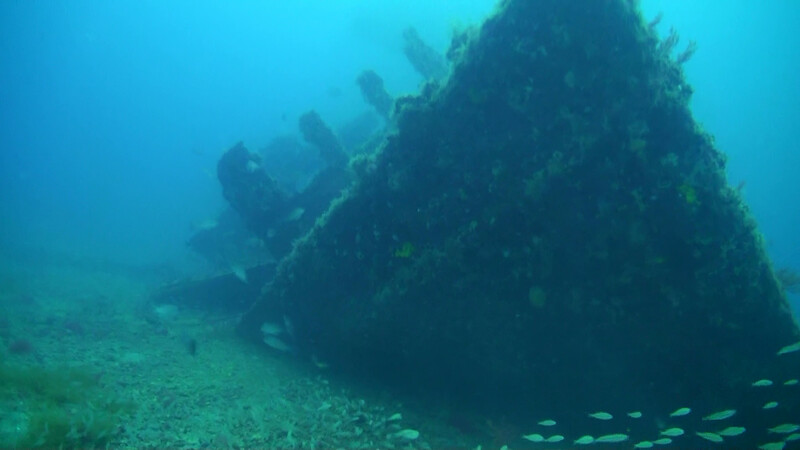 “We have been involved in saving historical military ships from the scrap yard by creating artificial reefs out of them,” says Joe Weatherby, president of the company. Weatherby and his team are planning on sinking a 320-feet long World War II submarine near Palm Beach, Florida. The submarine, USS Clamagore, has been a museum ship in Charleston, South Carolina for over 40 years. Cleaning and sinking the Clamagore will cost $4 million, with the actual sinking probably not happening until next year. Still not sure if you want to visit an artificial reef? Take a look at this Youtube video!